Another snow storm – what else is new? Have you been restlessly tapping your foot, waiting for spring to come? A cold, wet Spring is not a new experience, but, it sure can be exasperating. Calving frustrations, feeding livestock in mud, difficulties in preparing planting equipment, roadway issues, and time marching on can cause just a little stress to those in production agriculture. Many of us struggled to complete our fall tillage/fertility program, adding to our agitation. In a year when commodity prices appear to be challenging, protecting input investments, such as the seed varieties you and your seed sales representative have selected to be best for your farm, is particularly crucial. Your multi-peril crop insurance coverage decisions were made last month to protect your yield and mange some risk to your operation. Planting is the next step, and planting at the right time will also help you manage risk. Waiting to plant in the “right” soil conditions can test our patience and tempt us to go ahead, even when waiting may be the wisest move. 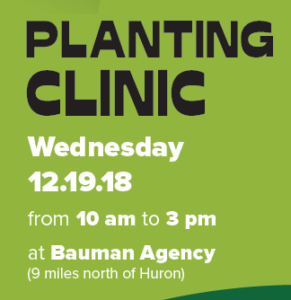 Seeing our neighbor in the field can be hard to ignore, but, as your folks may have told you in younger days, “Just because your friend jumped off a cliff, doesn’t mean you should too!” Good soil conditions provide an optimum seed bed, giving the seed that you have invested in the best foundation for producing an abundant crop. This year, ideal soil conditions may be hard to find. Expect to be challenged with varied down pressure requirements as the seed bed changes from perfect to wet to dry and back again. 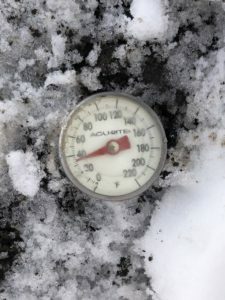 Wait for a minimum soil temperature of 50 degrees Fahrenheit at two inches, while you are planting. To assist you, we take daily soil temperatures, at planting depth, throughout the month of April and publish them on our Twitter feed and Facebook page. Planting equipment in perfect working order with seed spaced evenly and at the correct depth is vital to ensure optimal performance. If you have seed meters that need attention, bring them in for us to test and repair. 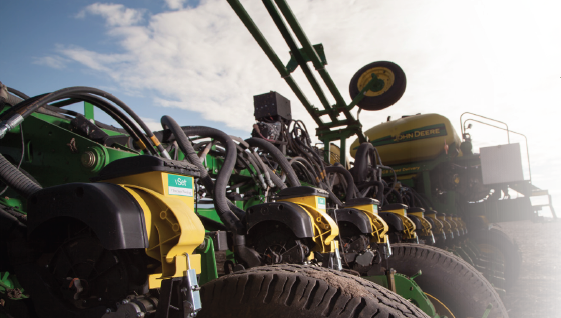 Don’t let the flip of the calendar page cause a short change in planter preparation. Having to stop and address issues while planting (that should or could have been handled at planter prep time) is less than ideal. The use of seed treatments and fungicides on soybeans is especially critical in a cold wet Spring. 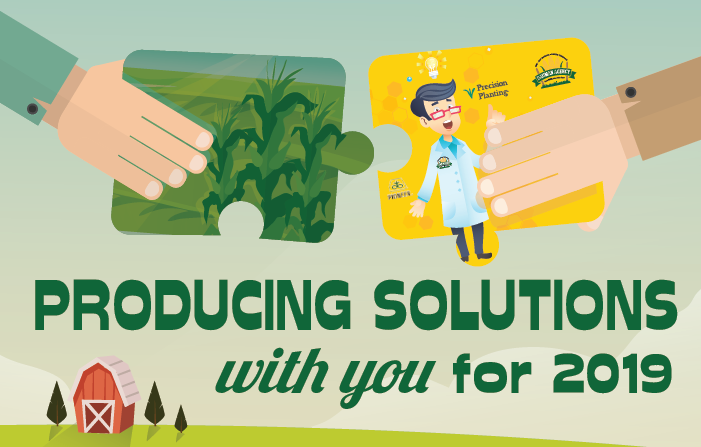 These treatments provide another level of protection to the seed investment you have made, and count on, to best deliver profits to you in this crop year. 2019’s Spring looks to be a year when Prevented Planting may come into play. If prevented planting acres become a reality in your operation, visit with your crop insurance agent BEFORE you certify acres at FSA to refresh yourself on the PP rules and regulations. Planting season is crunch time. We are always in a hurry to get it in the ground. Take it easy. Be careful and do it right. We cannot fix a planting mistake. We have to do it right the first time. After investing so much already, make every seed count. 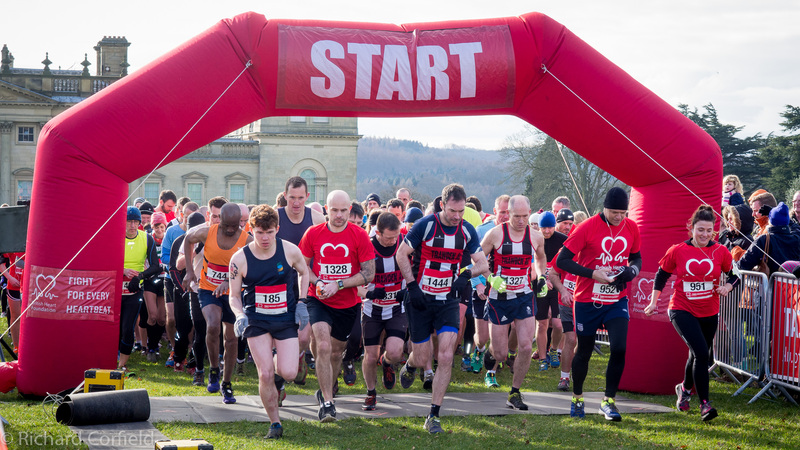 Get prepared and be ready to …GO! And from my soap box: Thank you to the Huron Area Chamber and Visitor’s Bureau and the Prairie Family Business Association for presenting us with the Huron Area Family Business of the Year Award. Like many of you, we, and our staff, are involved in a family farming business operation. We are fortunate to enjoy working with our daughter and son-in-law, Callee and Jonathan, here at Bauman Agency, along with a cracker-jack dedicated staff who are involved in their own farming operations. Our family of dedicated staff members does a wonderful job serving all of you and helping us provide you with solid solutions for your seed, crop insurance, and precision planting sales and service needs from a farmer’s perspective. We feel lucky to work with them and you! This season’s special hands-on training event will be held at the Nordby Exhibit Hall on the South Dakota State Fairgrounds in Huron, SD, from noon to 5:30pm. We hope to see you there! 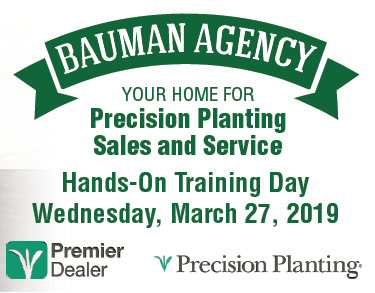 Call Bauman Agency today at 605-353-1112 to confirm your registration! A new year brings with it some anticipation. We farmers and ranchers are filled with hope for the ultimate growing season, great crop yields, strong markets, high demand, favorable calving weather, high calving percentages rates, and efficient rates of gain for fed cattle. On the flip side, we have suspicions that none of the above is going to happen, that the banker is going to be most unhappy, and that our bank accounts will be very lonely. For ag producers, every year is filled with uncertainty and on any given day we may be encouraged or discouraged, or both, about the things we can and cannot control. At this writing the government is still in partial shutdown mode. I am proud to say that, at least so far, when farmers and ranchers don’t get what we want we don’t just quit. Instead, we work harder and smarter. The good news for crop producers today is that multi-peril crop insurance is still at work for us. The government shut down does not affect Bauman Agency’s ability to service our insureds. Although crop insurance premiums are supported with some government subsidies, crop insurance sales and service thankfully remain in the private sector. 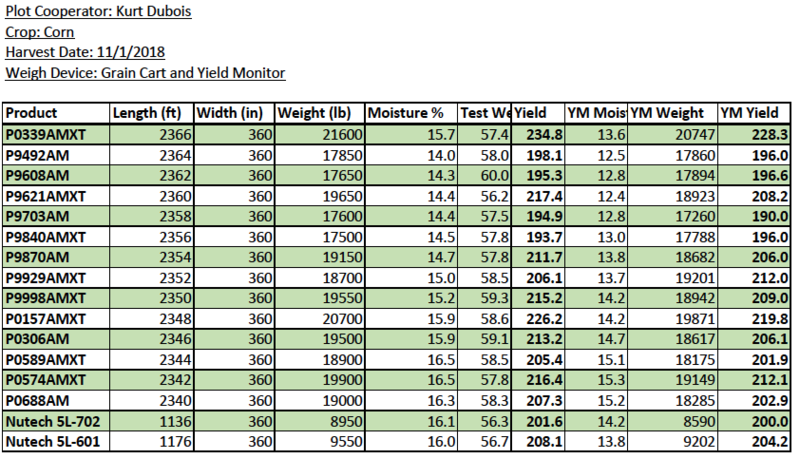 As crop producers select their 2019 coverage types and levels in the next few weeks, they can be assured that we will remain accessible, well trained, and willing to share our expertise to growers keeping their operation’s success as top priority. Bauman Agency offers a unique perspective in the crop insurance industry because all 6 of our licensed agents are also ag producers. Since we all have our own farming operations, we understand your need for agents with a thorough understanding of production agriculture, crop insurance, and how the two best work together. 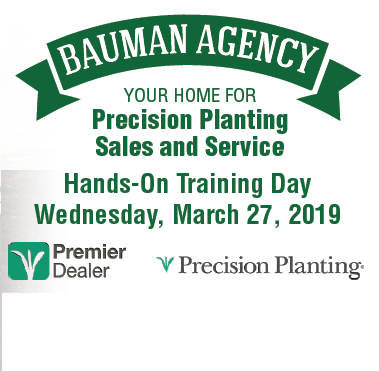 At Bauman Agency, we understand just how important dedication to the grower is. With this in mind, we are once again bringing in grain marketing analyst Rich Morrison of Diversified Services Marketing Group. Rich can be found on twitter @richmarketguru. We believe that “market guru” is an apt description for Rich. 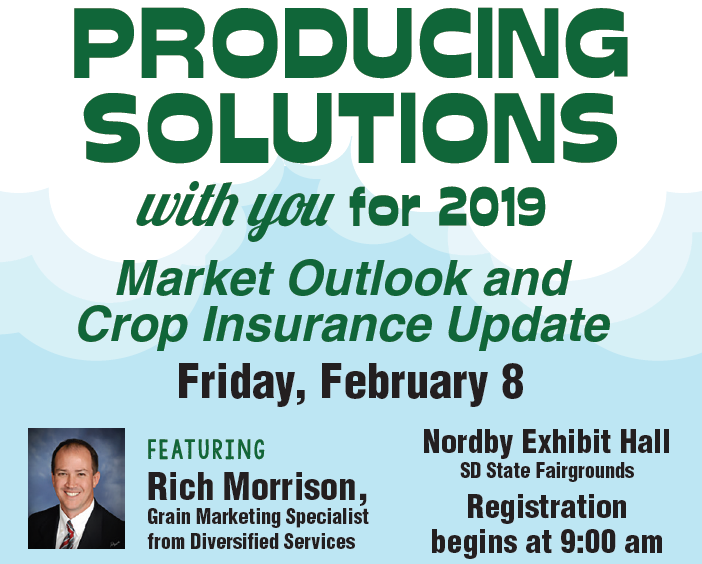 He will be presenting his annual market update at our “Producing Solutions with you Crop Insurance 2019 Update” at the Nordby Exhibit Hall on the South Dakota State Fair Grounds on Friday morning, February 8, at 10 am. (Come at 9 am and have coffee and some one-on-one time with Rich.) Following Rich’s presentation, we will update you with the latest changes and clarifications in crop insurance and Precision Planting and how to make them work for you. Join us for lunch and be on your way armed with valuable information for success in 2019. Gaining an understanding of market trends, grain marketing plans, options for yield advantages and planting efficiencies, along with the best crop insurance risk protection, go hand in hand when preparing for the crop year. Take advantage of this opportunity and benefit your farm. 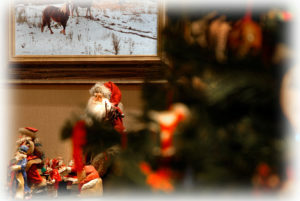 Though not required, we would appreciate an RSVP by calling the office at (605)353-1112. 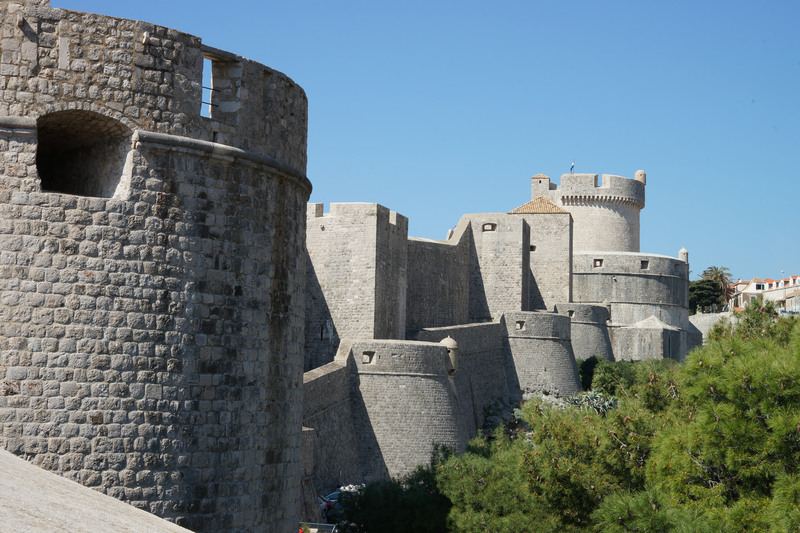 Be assured, whether the wall is up or down, whether the government is opened or closed, at Bauman Agency, we will keep working with you to create success and stability for your operation in 2019. 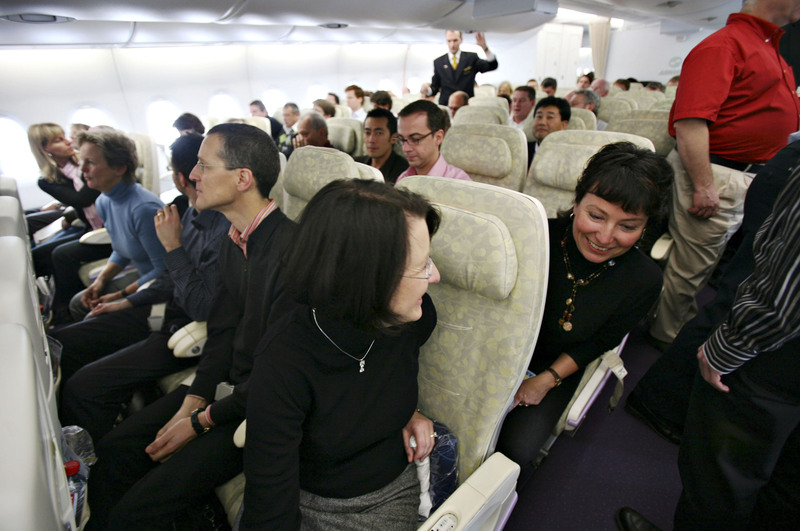 We pride ourselves in being accessible to your needs and look forward to seeing you on February 8th! Happy New Year! Yes Curt, There Is a Santa Claus! There is no doubt about it, Santa delivers! We have a new Farm Bill! The economic outlook facing farm country is undeniably bleak, considering net farm income is expected to drop another 10-15% in 2018 and possibly further in 2019. With this uncertainty looming over agriculture, I was pleased to see that the 2018 Farm Bill has passed with the largest bipartisan support of any measure in recent history. Only 37 congressional members declined to support the final version that will be sent to the president’s desk for a signature. I was surprised that both houses and parties could agree to anything, let alone at this level of support. So what is the final outcome for farmers? First and foremost, crop insurance came through the process with unparalleled support. Most members of Congress could see the overall benefit of this stabilizing force in the farm sector. Knowing that there is a safety net in place will make planning for 2019 much easier for ag producers. With lower commodity prices and lingering effects from the tariff tussle, many farmers are dealing with tight margins and the reality that, if less than ideal weather conditions occur, it will be a struggle to break even. Break-even doesn’t sound like too severe a situation until we compare this same scenario to another business type. If I owned a store, and I borrowed money to purchase items to sell, sold them for the same amount of dollars as I spent initially, and then had to pay for operating costs (labor, lights, heat, etc.). I couldn’t operate my store for very long. Break-even is the outlook in farm country right now. Two safety net options that were introduced in the 2014 Farm Bill were PLC and ARC. Farmers were given the opportunity to choose between Price Loss Coverage (PLC) and Agriculture Risk Coverage (ARC). These two programs will be reopened to farmers in early 2019. The 2014 Farm Bill made our previous selections permanent through the life of that bill. The 2018 version will now allow farmers to again select, by farm and county, whichever program looks to be the most beneficial to their operation, and then reconsider again in 2021 and yearly after that. ARC uses Olympic average of a commodity price as a baseline for a county revenue guarantee and individual production is not considered in the calculation. PLC uses a reference price established in the current law and the ability to update individual yields by farm and county. Given the better yields we have experienced in recent years, the PLC option looks very attractive for the upcoming years. Conservation is still a major focus of farm bill policy. The CRP (Conservation Reserve Program) acre cap is back up to 27 million acres and the CSP (Conservation Stewardship Program) is expanded and is enhanced with increased flexibility. 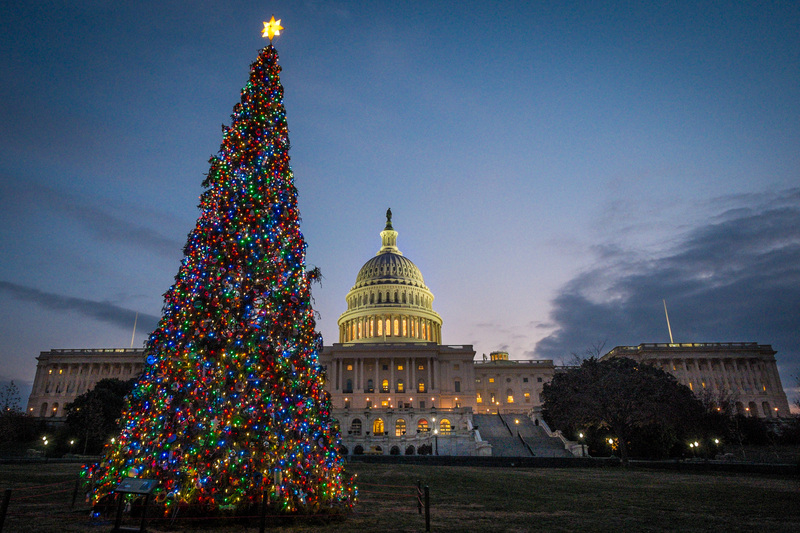 With the passage of the 2018 Farm Bill my Christmas wishes have come true. I can sleep with visions of a solid safety net dancing in my head. The gloom of the Break-even scenario is lifting. Thanks, Santa! Happy New Year! 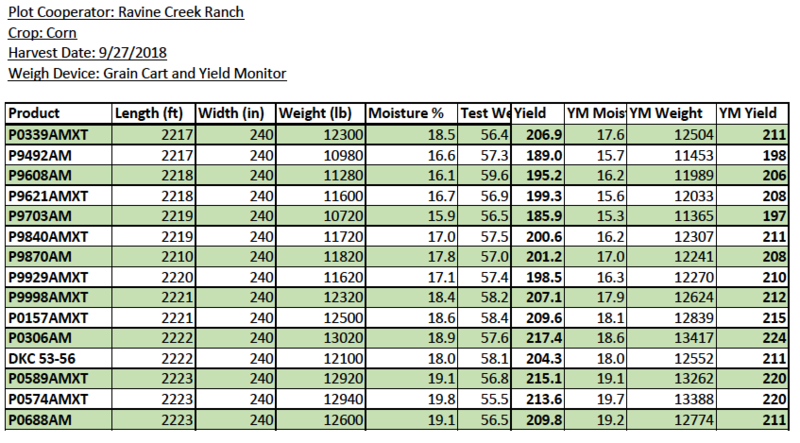 2018 Yields: Why, How, and Can We ‘3-Peat’? Please call 605-353-1112 with any questions. 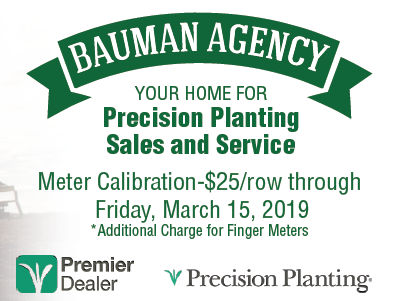 We’re Bauman Agency, and we see seed, crop insurance, and planter technology…from your side of the fence. 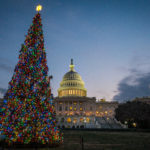 What I would like for Christmas is a New Farm Bill! One of my favorite things about living in South Dakota is the changing of seasons. While we can be burning up, working in the sun on a 95o summer day, we take comfort in knowing that in 6 months, we will be wearing 3 layers of clothing doing our best to stay warm in -10o while doing the exact same tasks. The yearly seasonal weather extremes that are encountered in the Midwest reinforce the need for a strong crop insurance program to be included in the next Farm Bill. The time for action is now as the Agricultural Act of 2014 – known widely as the Farm Bill – has expired and farmers are making their projections for the 2019 crop year. Funding for Multi-Peril Crop Insurance subsidies is included in the Farm Bill and widely used by farmers in South Dakota to help protect some of the risk that is inherent when raising crops in the upper Midwest. A farmer that operates 1000 acres and has a corn/soybeans crop rotation may invest between $300-500 per acre over the course of a growing season depending on crop type and yield goal. He/she invests the same dollar amount as the market price of a nice $300,000-$500,000 house. Farmers put that amount at risk every single year they farm. Opponents of crop insurance generally voice the concern that subsidies for the farmer’s premium is too generous. The big fact often missed in many discussions about crop insurance funding is the level of loss incurred by the farm operation before any loss indemnity is paid to the grower. The typical deductible that SD farmers choose on their crop insurance policies is 25% or a 75% coverage level which keeps the cost of their crop insurance in the realm of affordable. This means the farmer must incur a loss of between $75,000-$125,000 before any payment is made on their policy. The same catastrophic weather events in this area that cause home damage consequently cause crop damage. If, in comparison, I had a $400,000 home, a common deductible on my homeowner’s insurance policy would be only $1000-$5000. Since the adoption of crop insurance by a majority of farmers in the US, we no longer have ad hoc disaster relief bills coming thru Congress. Disaster relief comes after the fact and seems to always be offered to everyone, even though they have not contributed toward the funding. With crop insurance, farmers choose their deductible, pay their premium, and are then paid in the event of a loss only up to your coverage level. Farmers pay a fair share of the premium and, many years, never have a loss (which is always the goal of policyholders.) No farmer ever wants to incur a loss on their policy. They also understand that if there are fewer loss claims, there is a lower loss ratio, and, therefore, lower premiums – a win for everyone involved! Our great country’s ability to have a sustainable and stable crop insurance program helps to ensure that farmers are willing AND able to continue providing the cheapest (based on % of annual income) and safest food supply in the world. We hope that if the lame duck Congress doesn’t pass a Farm Bill, the new mix in Washington D.C. can come to common ground and quickly pass this important legislation in the New Year. Harvest has come to a close (or nearly so) for most of us in eastern South Dakota, and as we approach the holiday season it’s important to look back and give thanks for the things that have gone well in the past year. 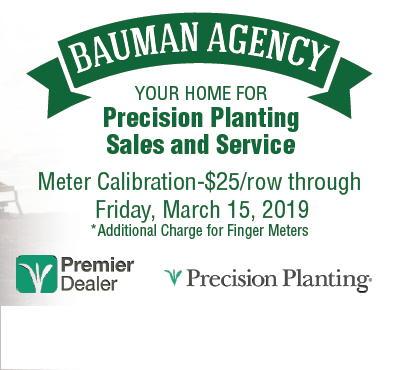 We have been privileged here at Bauman Agency to have the opportunity to test some of these hybrids ourselves, and to work with several other farmers who were willing to devote some of their precious crop land to testing Pioneer Hybrids both new and old. We’d like to thank each of them for their help! Of course, sales for next year’s seed is already underway, and knowing what varieties performed well will be essential in helping any operating decide what it will put in the ground next year. 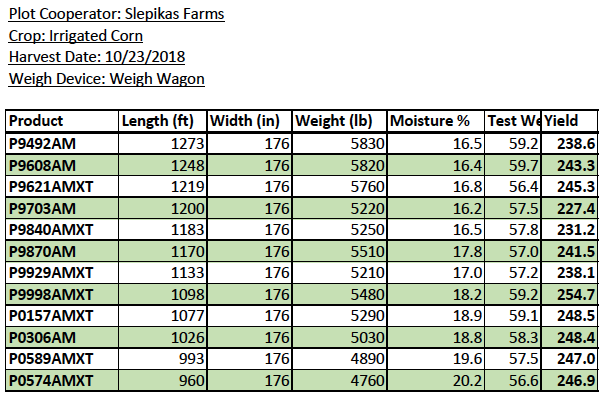 We hope you find the details of this year’s plot performance helpful in making these decisions for your farm and your family. As always, if you need help, just give us a call. After all, here at Bauman Agency we see seed from your side of the fence.